Did you know that Valentine's Day is the only day of the year that couples can marry on the Empire State Building? Sounds a bit surreal ... right? 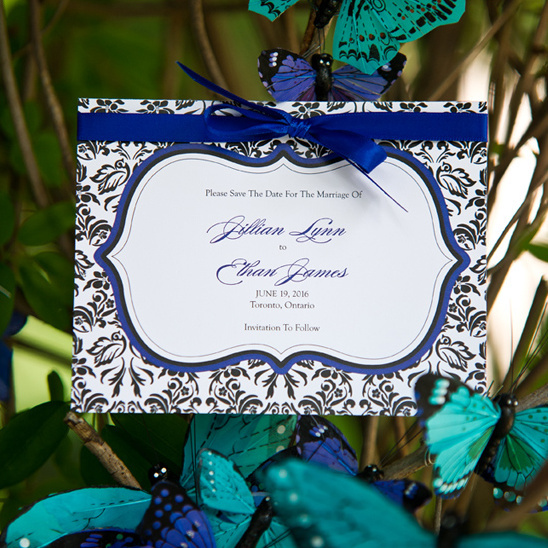 Well, imagine if you could get married there on Valentine's Day AND have your wedding expertly and elegantly orchestrated by premier celebrity event designer Preston Bailey! Enjoying an event of a lifetime with 18 friends and family could be closer than you think. Read on to learn how to enter or hop, skip and jump over to facebook right now to enter. Three lucky couples will win, so your chances are good. 1. Like the Empire State Building on facebook here 2. Make a quick 2 minute video (you could totally use your iphone to do this) sharing your love story - why you want to get married at The Empire State Building along with why Preston Bailey is your designer of choice and of course why you deserve this wedding. All videos must be submitted by January 11, 2013. There are so many fabulous wedding vendors involved in this event, including Weddingstar, a premier online wedding shopping site filled with on-trend wedding decor and details, like this contemporary garden look that you see featured. This is just a smidgen of the over 3000 designer wedding accessories to chose from. Super pretty ... right? 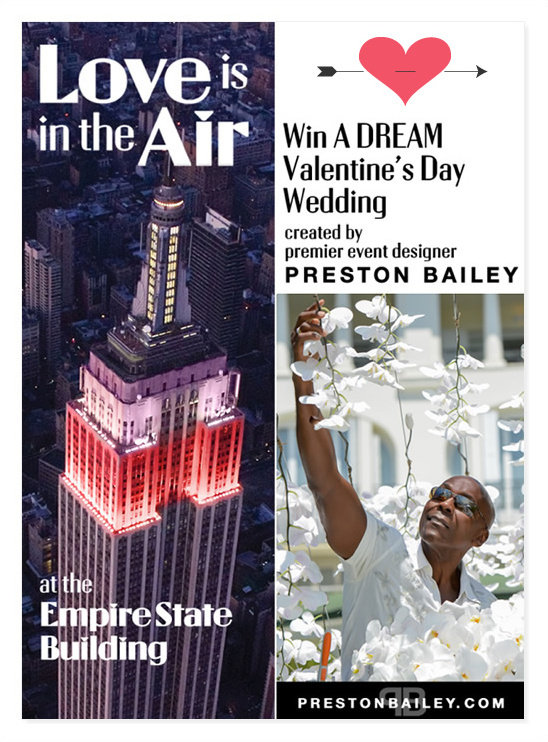 Be sure to head on over to Empire State Building's facebook page and enter to win this dream wedding event.